Learn about atomic structure as well as matter composition and reactions. Practice mole calculations, name compounds, and use graphic organizers to develop student understanding with these printable chemistry worksheets. Worksheets labeled with are accessible to Pro subscribers only. 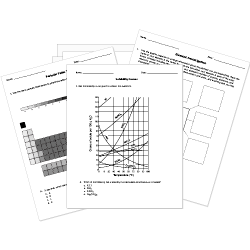 Become a Subscriber to access hundreds of premium worksheets. Don't see a worksheet you need? Use our Test Maker™ to create your own printable that fits your needs. Browse chemistry questions or use our advanced search to find existing questions while filtering by grade levels and keywords. Customize your test further by creating your own assessment questions. 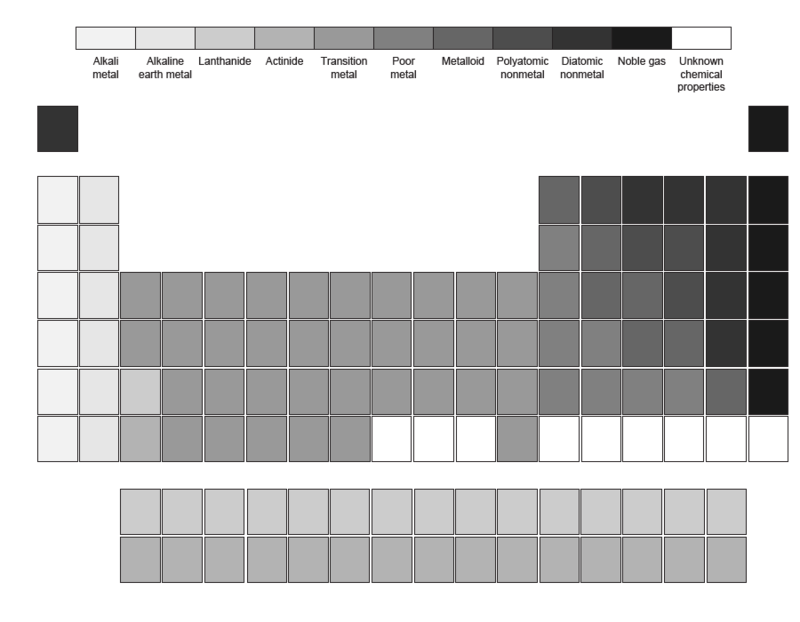 Print these full page periodic table images to accompany worksheets and assessments. Use the blank table for studying and evaluating periodic trends and structure. A 50-question test reviewing multiple topics relating to atomic structure. 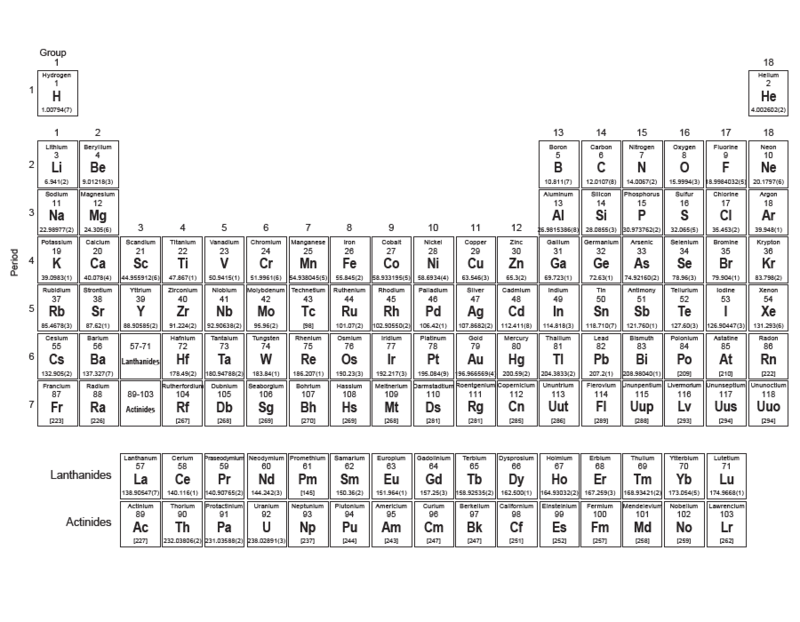 A 60-question test reviewing multiple topics relating to the Periodic Table. Element Symbols and Names new! A 50-question test identifying element symbols and names. © Copyright Notice: All worksheets contain copyrighted work and are designed for use by individual teachers, tutors, and parents. Worksheets and/or questions may not be replicated or redistributed in any way outside HelpTeaching.com, regardless of intended usage, without explicit permission.